Like other investors, Lord Rothschild’s preoccupation is the massive monetary stimulus ongoing all over the world. He also mentions the contrast of the so far positive reaction in the financial markets and the unresponsive economic growth all over the world. Then what would deflation bring to the market? Lord Rothschild explains RIT’s portfolio. In the portfolio, the exposure to stocks has been steadily declining in the recent years. As the percentage was about 30% amid the financial crisis in 2008, so the recent rate would not imply Lord Rothschild is too pessimistic about stocks, but it is gradually heading to the cautious level. Instead of stocks, the fund increased its position in gold. We increased gold and precious metals to 8% by the end of June. Our significant US Dollar position has now been somewhat reduced as, following the Dollar’s rise, we saw interesting opportunities in other currencies as well as gold, the latter reflecting our concerns about monetary policy and ever declining real yields. This view sympathizes with most of the great investors’ bearish view on the world economy. Dr Larry Summers, the former US Treasury Secretary, called it secular stagnation. 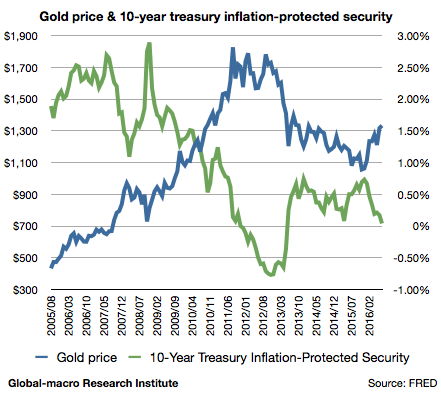 We also predicted the recent rise of the gold price in January. This is not as extravagant as what most hedge funds try to achieve, but it is significant that RIT Capital Partners is making a decent profit even during the rough time for stocks such as the last 12 months, reflecting RIT’s rather long-term objective. We will follow up how Lord Rothschild would handle the difficult, experimental scene of the global economy.